Power to the Indigenous Peoples! St. Lawrence Island Yupik share their knowledge and concerns about local waterways given loss of sea ice and increase in commercial shipping. Photo ©WCS. In the wake of the recent Global Climate Action Summit, we need to replay and reinforce the message that Indigenous Peoples and traditional communities — by exercising their rights, securing their wellbeing, and maintaining their cultural identities — will play an enormously important part in keeping forests intact and helping humanity avoid a climate change catastrophe. WCS has long supported the rights of Indigenous Peoples to decide how to benefit from stewardship of their lands and waters. During the summit, our staff in the Democratic Republic of Congo, in the boreal north of Canada, and in Bolivia communicated passionately about the vital role that Indigenous Peoples play in making our planet more resilient to climate change. 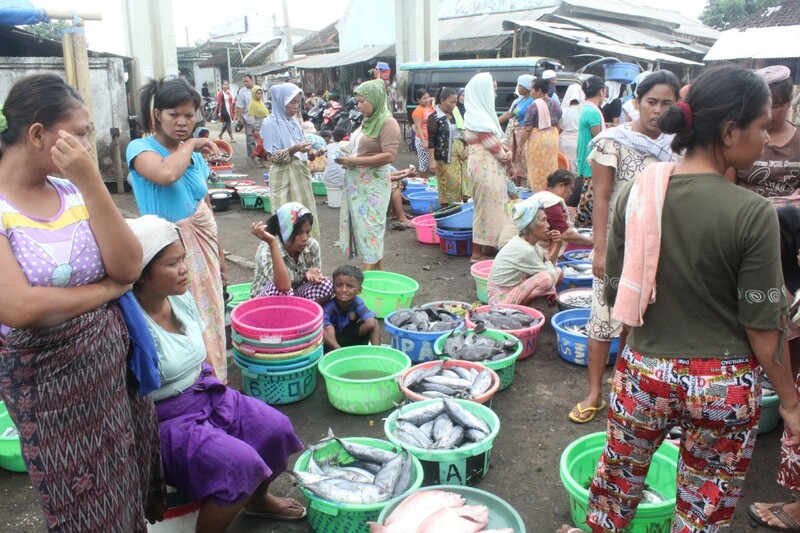 Local women helping WCS staff to monitor fish landings in Tanjung Luar village in Lombok, Indonesia. Photo ©WCS. We noted how civil society has and continues to play a key supporting role in securing rights to Indigenous Peoples’ territory and helping them to build their capacity to manage their natural resources. But while the importance of securing rights and building capacity for Indigenous Peoples is well understood, we less frequently discuss why it is essential that Indigenous Peoples hold the power to govern their traditional territories and exercise their authority. Without clout, they are often thwarted in their efforts to manage their nature resources. Time and again, politically or economically powerful actors have undermined or usurped the legitimate authority of Indigenous Peoples. On the other hand, when civil society actors have empowered Indigenous Peoples partners to govern their own territory, they and not others have benefitted. It is essential that Indigenous Peoples hold the power to govern their traditional territories and exercise their authority. A little over 180 km west of Kabul in the Hindu Kush mountains of central Afghanistan, the Hazara people have depended for generations on the Band-e-Amir landscape to graze their livestock, provide fuel and fodder, and facilitate rain-fed crop production. In 2006, WCS helped establish the Band-e-Amir Protected Area Committee (BAPAC). BAPAC is comprised of elected representatives from all 15 villages in the area and members of various ministries and levels of government. Community representatives are the majority of the BAPAC members and consequently have the ability to guide the discussion on whether, why, and how to protect the Band-e-Amir area. 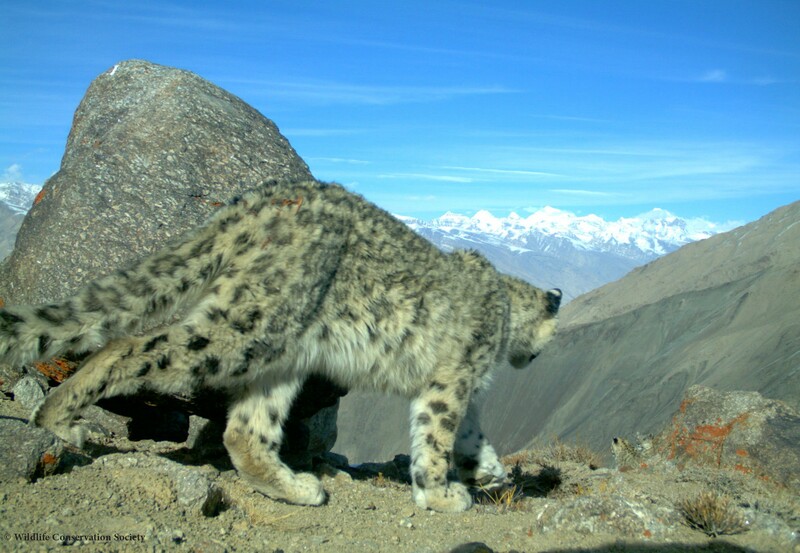 WCS has worked with government and local communities to promote a greater role in governance by Indigenous Peoples in Afghanistan, home of the magnificent snow leopard. Photo ©WCS. With WCS technical support, BAPAC embraced a highly participatory process that resulted in a management plan and a petition to the government to formally recognize the area as the country’s first national protected area. In 2009 Afghanistan Vice President Karim Khalili formally declared Band-e-Amir the country’s first national park. In doing so, he acknowledged the contract between the Band-i-Amir Protected Area Committee (BAPAC), the Ministry of Agriculture, Irrigation and Livestock (MoAIL), and Band-i-Amir communities that formalizes rights and responsibilities of all parties and specifies how tourism revenues will be shared. Empowered with a clear voice in the governance of their traditional lands, the Hazara communities now directly benefit from the thriving tourist trade, and continue to graze and water their livestock. Empowered with a clear voice in the governance of their traditional lands, the Hazara communities now directly benefit from the thriving tourist trade, and continue to graze and water their livestock. In Pakistan’s northern mountains, local tribal associations govern their lands collectively. Each association represents just a few communities. Isolated from local and central government, they wielded little power. But with WCS’s help, neighboring groups began working together on issues of common concern, including the management of wildlife moving across their communities. Today they coordinate the actions of 22 multi-community conservancies recognized by the government. 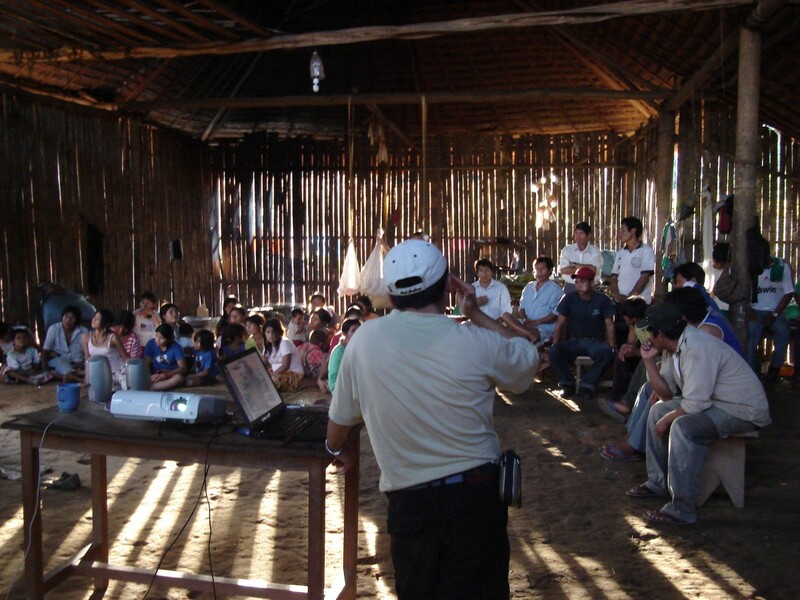 Community workshop in Bolivia’s Pilón Lajas Biosphere Reserve and Indigenous Territory. Photo ©WCS. In Bolivia, with help from WCS, the Tacana people gained legal authority over much of their traditional territory. 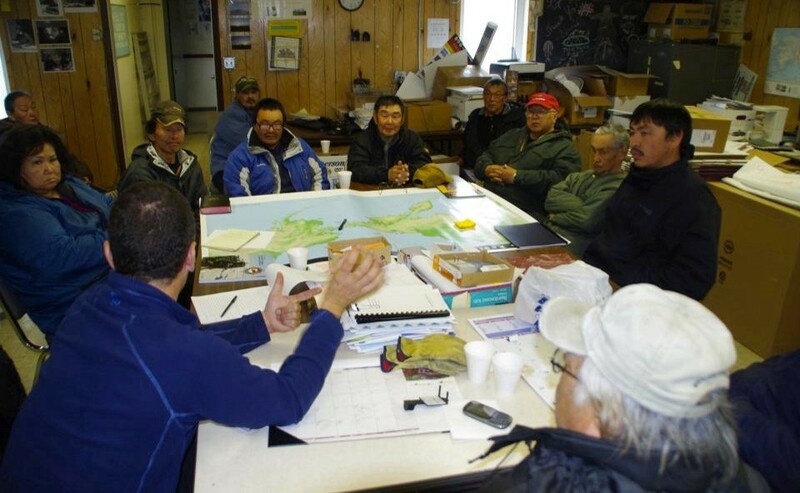 During the land-titling process, the different Takana communities learned how to exercise their new authority to engage effectively with neighbors to resolve disputes over how to use their lands and waters to benefit current and future generations. That experience increased their assertiveness when dealing with government, which in turn granted them authority over a much larger area of land than originally proposed. For Indigenous Peoples, securing formal rights and authority over their traditional territory is essential, as is developing the technical and financial capacity to govern the use of natural resources within their territory. Nevertheless, both are insufficient without the power to prevent government and non-governmental actors from usurping their legitimate authority. At WCS, we have learned through our work on the ground that there are a myriad of ways to help Indigenous Peoples accrue the power necessary to govern their lands and waters, wherever they are on the globe. All typically start small, but contain the seeds to grow and combine so that Indigenous Peoples voices are increasingly heard in larger, more powerful political and economic spaces. David Wilkie is Executive Director of Conservation Measures and Communities at the Wildlife Conservation Society (WCS). Michael Painter is a senior technical advisor at WCS.